Cloth seating offers a level of comfort that’s unmatched by other types of upholstery. Not only can they keep your legs from the summer sun that scorches your vehicle’s interior, they are available in a variety of colors. Whether you drive a car or an SUV, one of the most challenging things about owning a vehicle with cloth seats is keeping them clean. If you’re not careful, you can spill something on your seat that stains them. Fortunately, there are plenty of proactive measures that can ensure the cleanliness of your cloth seats. Here are a few ways to keep your cloth seats clean. Purchase seat covers. In auto stores or online, there is no shortage of stylish covers that can protect your seats from food, beverage and chemical stains. If you have a generous seat-cover budget, you can purchase custom-designed covers. Use a seat protector spray. For less than the price of a fast-food meal, you can purchase a stain guard or fabric protector. These protectors are available in waterproof varieties. This spray forms a barrier and prevents spills from sticking to your cloth seats. Refrain from eating or drinking in your car. Applying this tip can be challenging if you use your vehicle for long commutes. However, it might be worth it if your primary goal is to keep your car free of stains, spills and odors. Hire a professional car-cleaning service. Although you can purchase over-the-counter cloth cleaning sprays, they won’t do the job as well as a professional cleaning service. With advanced technology, keeping the cloth seats in your vehicle clean has never been easier. These tips can help. 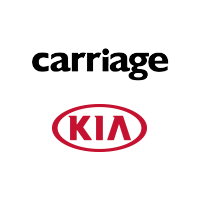 If you’d like to learn more about things you can do to keep your seat clean, contact Carriage Kia of Woodstock.